We stayed our first night in Gillette, WY. That rock, paper, scissors sculpture is probably the most exciting about that town. 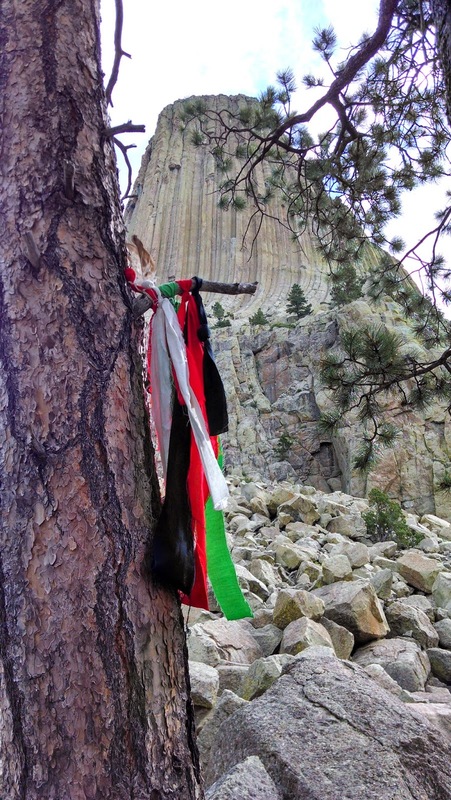 An hour farther north, however, was our first planned tourist stop - Devils Tower National Monument. 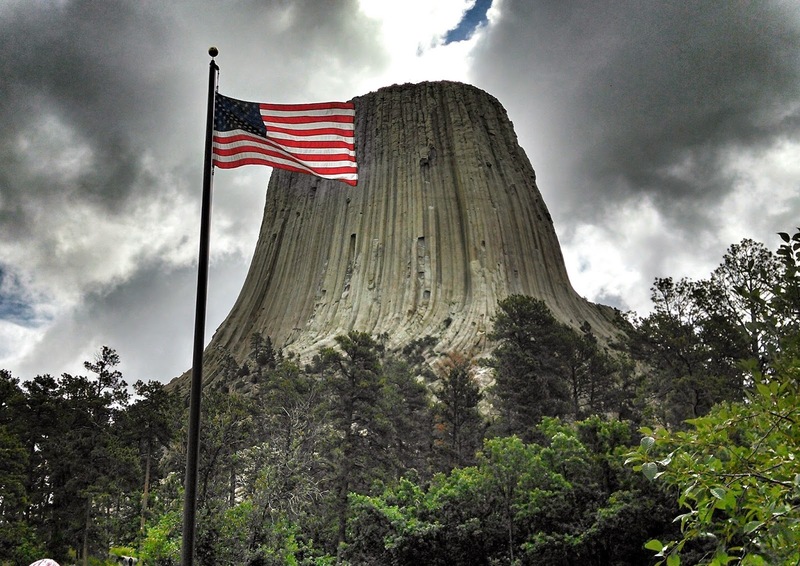 Fun Fact - Devils Tower, without an apostrophe, is the proper spelling because of a typo in a newspaper that stuck. We started our day early, since the website told us there would be a guided ranger walk at 9 AM. Alas, the signs at the actual park indicated the walk was at 10 AM. So, we started the hike on our own at 8:30. It was a beautiful morning and the park was relatively empty (we could tell it was really picking up when we got back to visitors center), so we were alone on the trail most of the time. The formation itself is fascinating and incredible, but the views overlooking the surrounding valley are also gorgeous. It was a heck of a morning walk. 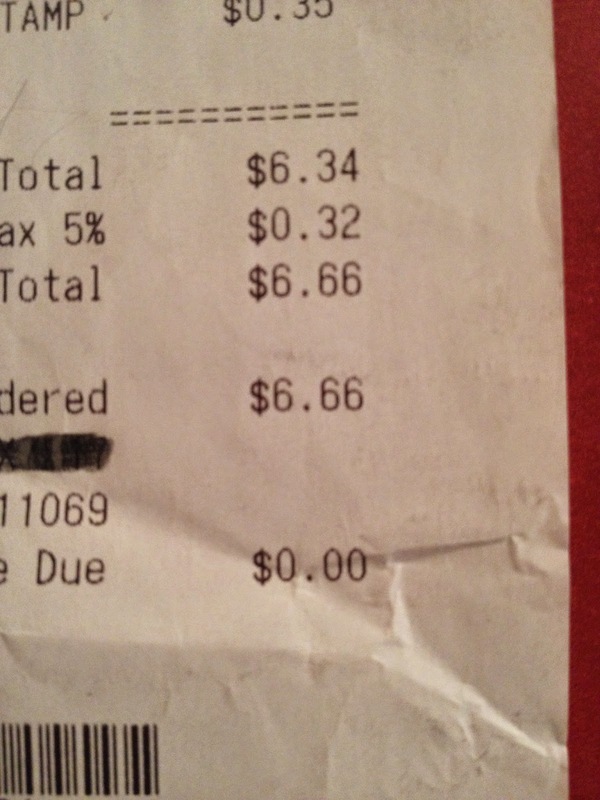 Appropriately, the cost of my souvenirs (a keychain and a postcard) came to $6.66. After a few hours in the car and crossing into a new state, lunch was sandwiches in a parking lot. A parking lot that we paid $10 to park in.We paid $10 to park so that after lunch, we could go see Mount Rushmore. I found this classic showcase of American patriotism beautiful and awesome. 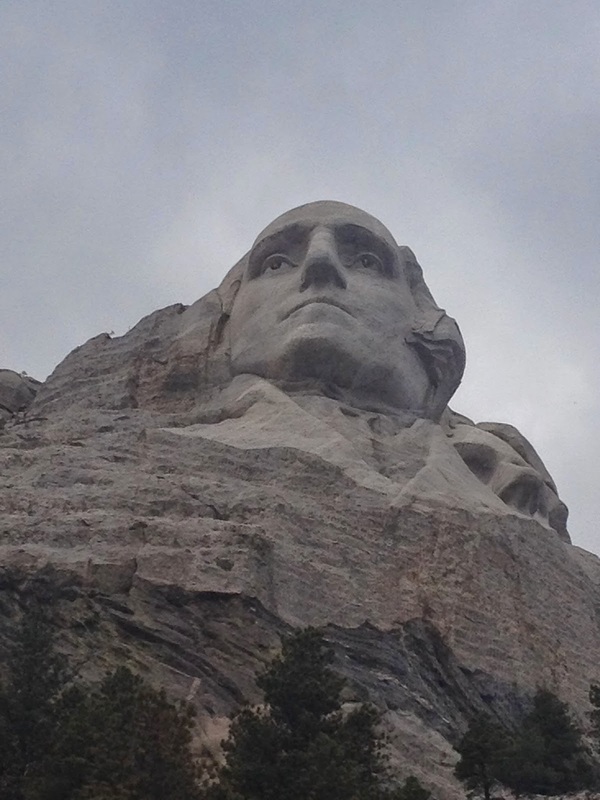 I am thoroughly impressed with the ability to sculpt a mountain and all that hard work it took to make that happen. I'm glad we got to see it. 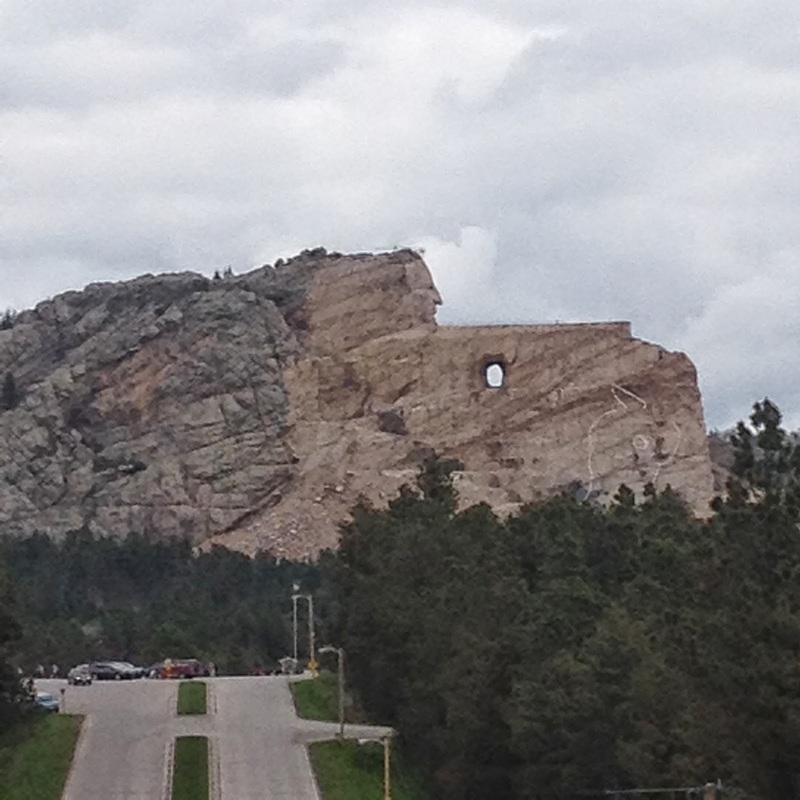 We did try to go to the Crazy Horse Memorial, but it was a little pricier than we expected, so we just saw it from a distance. As we headed back out of region, we saw signs for Dinosaur Park. Why not? We took a left off the main drag and drove on the appropriately named Skyline Drive looking out on the thriving metropolis of Rapid City until we found it. It was better than we hoped. 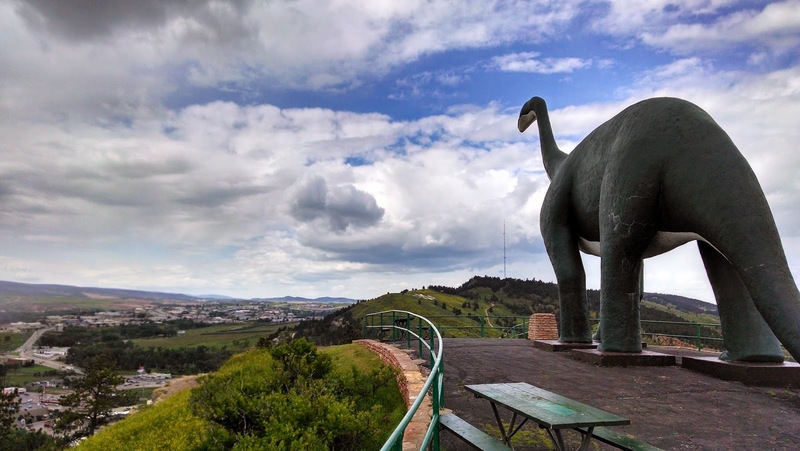 Dinosaur Park is a small collection of cement dinosaurs painted green. 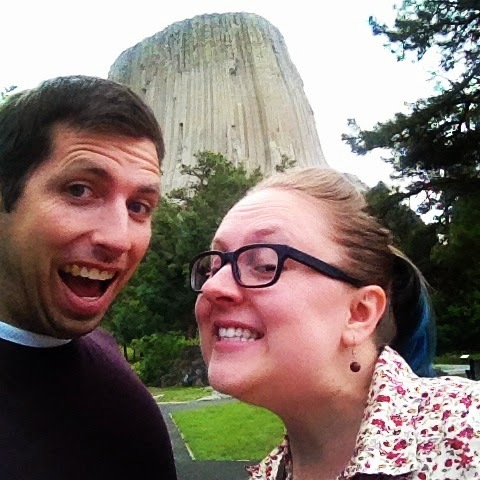 We compared it to our trip to Dinosaur Land in West Virginia, which had also been totally amusing. 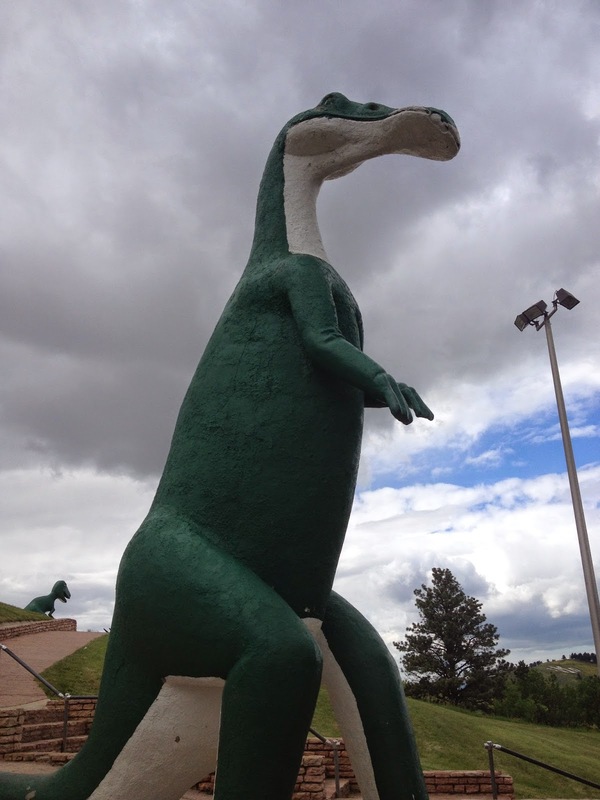 The best part about the Rapid City Dinosaur Park? Turns out it was a Work Project Administration project. 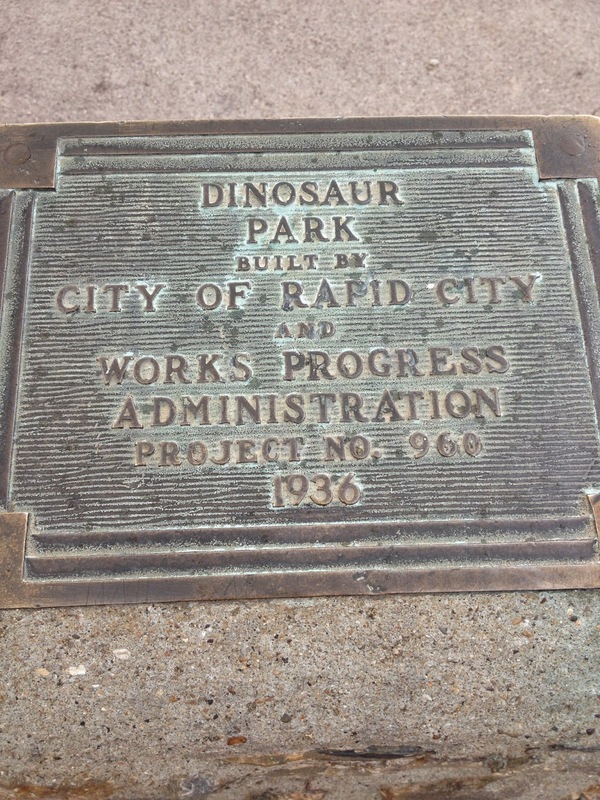 The federal government decided that a way to give people jobs in the Depression was to build a park of cement dinosaurs. Yes, please. 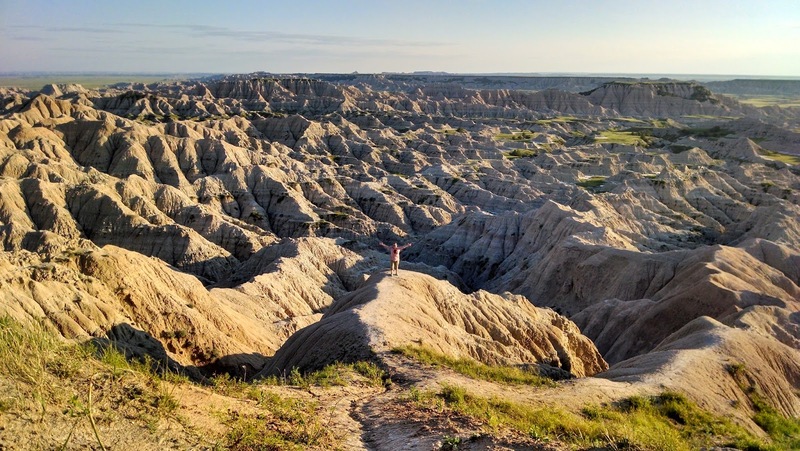 For dinner that night, we stopped at Wall Drug, the trappiest of tourist traps on our trip. We had some time to kill, and it was a silly way to do just that. 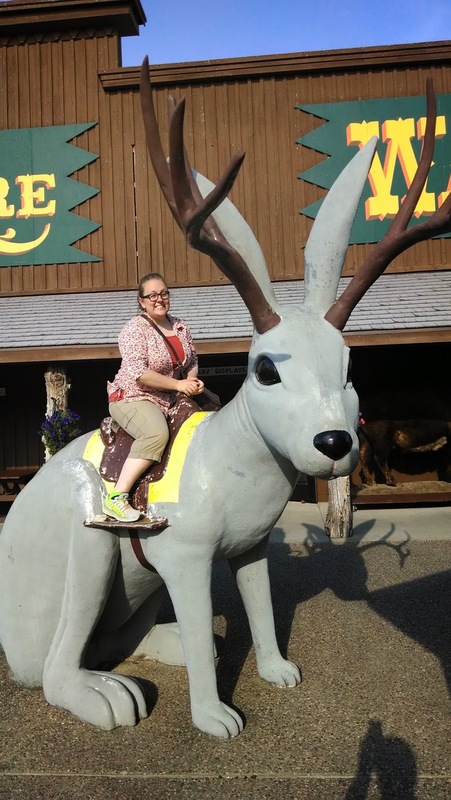 Dinner was tasty, Blake found some new shaving soap to try, and I rode a giant jackalope. As the sun set that evening, we drove through the Badlands, which were nothing short of amazing. 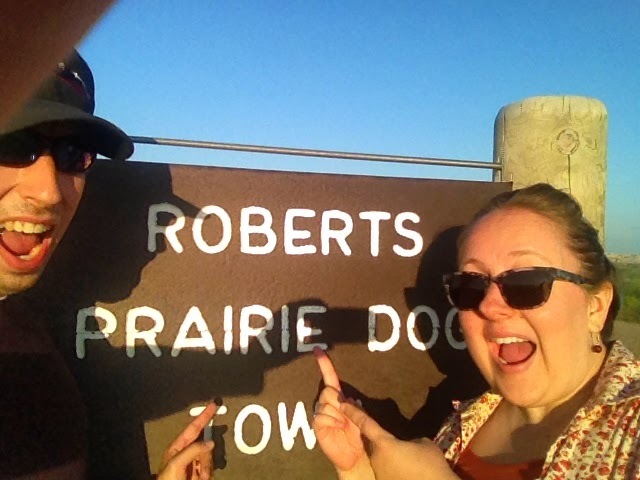 We did take thirty minutes out of our way to see Roberts Prairie Dog Town, for reasons that should be obvious to those who know us. 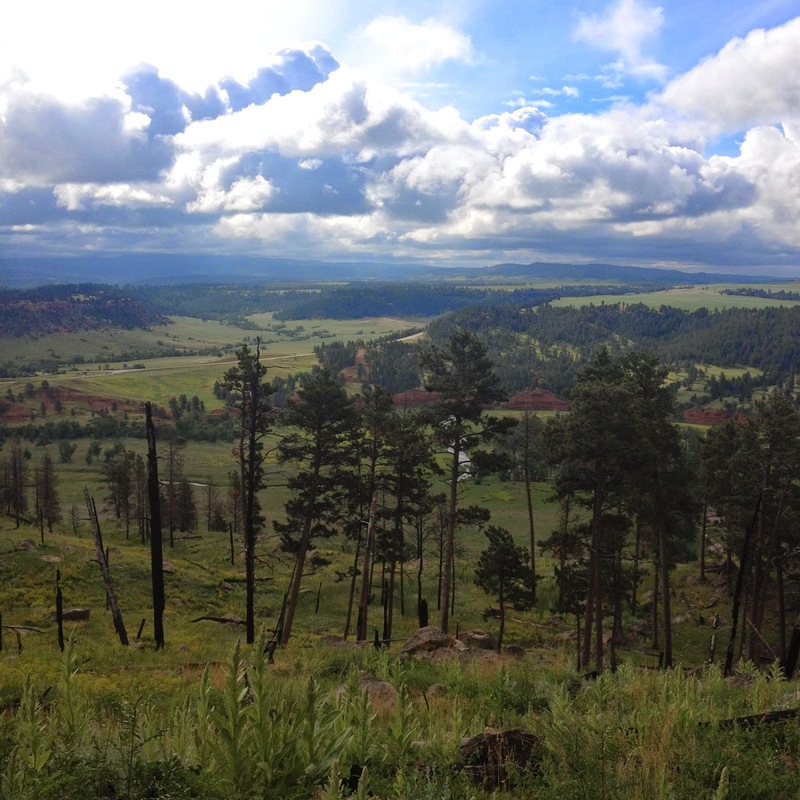 Sadly, we saw no bison, but the views were wonderful. We want to go back another time and do some hiking as well as driving. We had hoped for a ranger led stargazing event, but once again, I had been misinformed by the website, so we made sure to pull over and look at the stars on our own before getting to our motel that night. The motel in Kadoka, SD, was less than amazing. Many amenities were broken (including the tap and the pipes under the sink, they tried to put us in a smoking room, and we could hear our neighbors on the inside and a cow lowing outside. 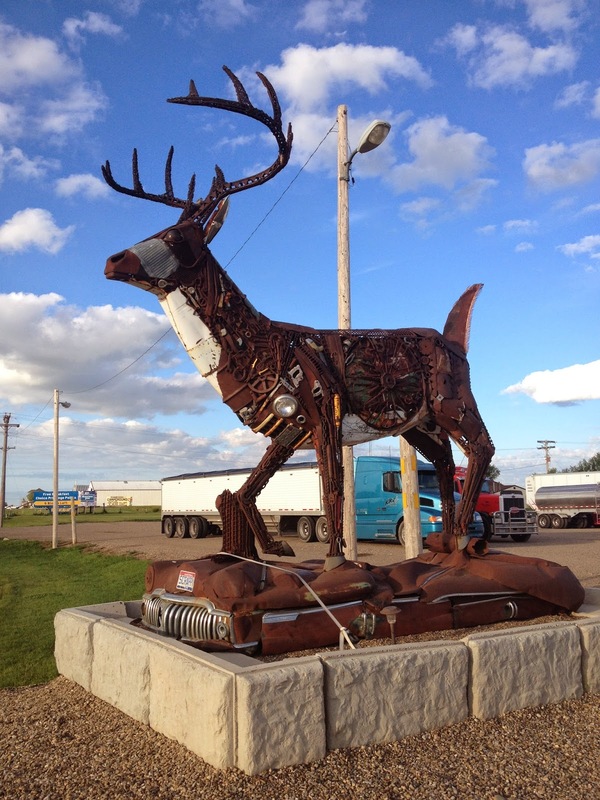 Neither one of us took off our socks except to shower the next morning, but it had been a long and full day, and we were still grateful for a place to rest and the lovely sight of an incredibly ugly deer made of rusty car parts on our way out of town. Wednesday was a little less eventful. We were able to have a far too short visit with my high school friend Joy in Omaha and make the quickest of trips to see Winter Quarters, another Mormon Trail historic site. One of the coolest parts of our trip was that one or both of us had never done whatever activity we were doing, so it was all new to someone. 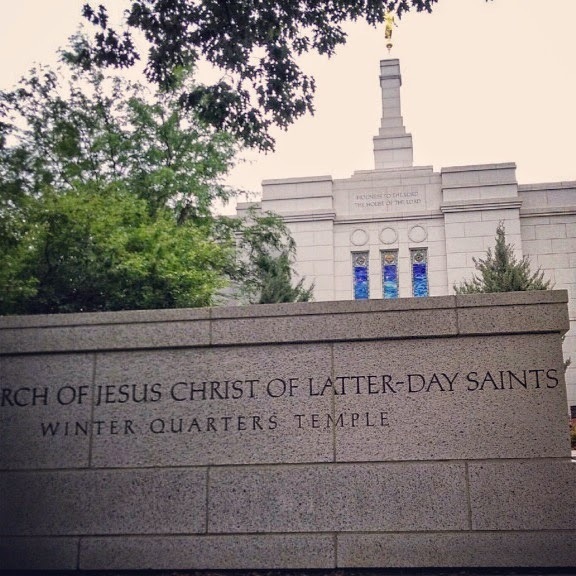 I'd been to Winter Quarters before, and had ancestors who came through it (and one who died nearby), but Blake hadn't and I enjoyed sharing my family history with him. Neither one of us had seen the temple that is there now, which was small but beautiful. That night, we were hosted in Des Moines, IA, by my dad's cousin and his family. They had a delicious, home-cooked meal for us and we enjoyed a relaxing evening, catching up and getting to know each other. I can count on one hand the number of times I've seen this cousin, but it's great to have family to rely on! Coming soon - more Church and family history and proof that we're a pair of lovable geeks! 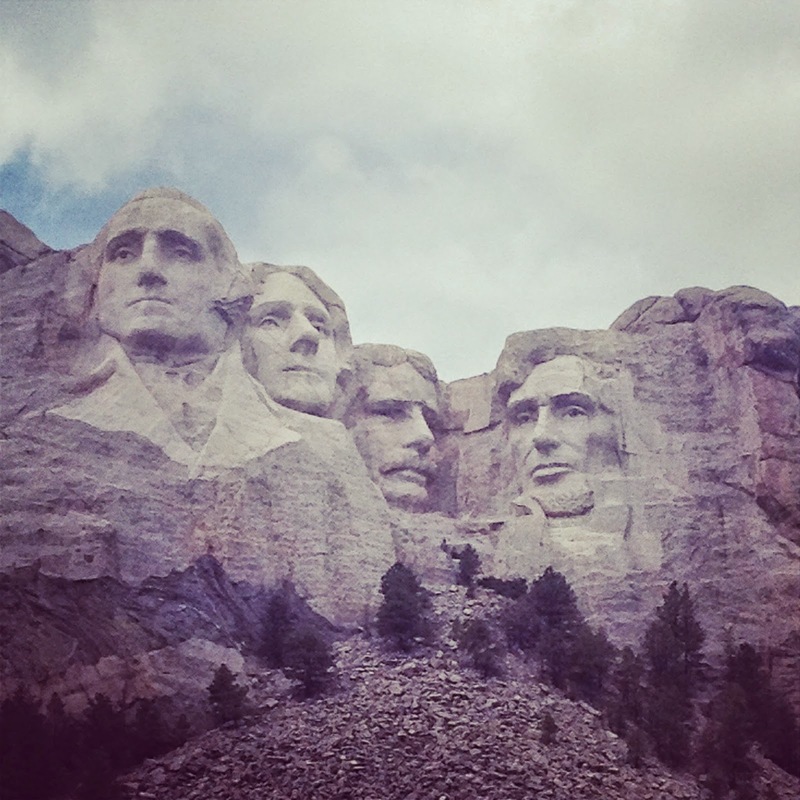 I've been to Mount Rushmore. 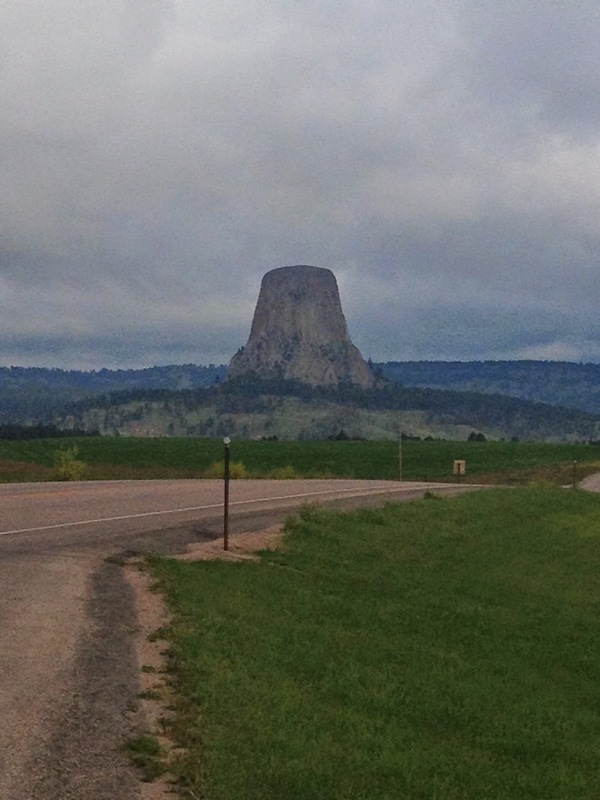 But did not see Devils Tower (although I recently learned what formed it) nor the giant cement dinosaurs. I'm apparently missing out. I spent a day in Winter Quarters though. One of my ancestors died on the road there. I wonder if our ancestors knew each other. It would be cool if they did!